Parkside Avenue runs along West Fairmount Park in the Parkside neighborhood of West Philadelphia. 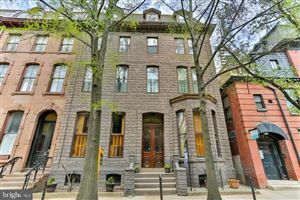 It is lined with beautiful Victorian-era houses and apartment buildings, which were built more than 100 year ago and were popular with industrialists, especially brewers, who were not as welcome in established wealthy neighborhoods such as Rittenhouse Square. Across from the landmark houses and apartments, which have been declared a historic district, is the Please Touch Museum, originally built as Memorial Hall for the 1876 Centennial Exhibition, and an historic fountain and a memorial gate. That part of Fairmount Park was originally developed for the Centennial Exhibition, where new technology like the telephone were first publicly demonstrated. The Department of Parks and Recreation is planning to renovate the edge of the park along Parkside Avenue in a project called Centennial Commons. While the historic apartment buildings on the 4100 block of Parkside, built in a Flemish Revival style, have been beautifully renovated by local community groups, one building at 4148 Parkside Avenue had to be torn down after it was destroyed by a fire, leaving a noticeable gap in between two of the largest buildings. Now, a developer going by the name of 4148 Parkside LP and Raymond Rola Architects are building a new apartment building to replace the one that was lost. The new building will have a traditional look, but will be a simpler design which is not meant to copy the existing buildings on the block exactly. It will be six stories tall and will have 23 units. The facade will be an ochre-colored brick and will have arched windows with a pattern similar to the neighboring buildings. The windows will likely be made of cast aluminum and some will have Juliet balconies. 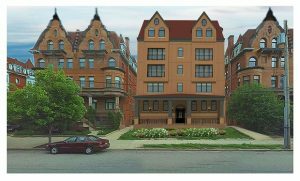 The front windows, above the second floor, will be in flat-faced bays and will end in dormers on the sixth level, which will be framed in a red-shingled mansard roof, again, similar to the neighboring buildings. It will have a porch that will be more modest than the neighboring buildings, well known for their grandiose stone porches well above the street level. The porch will have cast stone, which will continue onto the front facade wall of the first floor and around the arched front doorway. The front door will be primarily a fire exit and the main entrance will be on the side and will include a ramp. The lobby will lead to an elevator. The sides will have brick near the front and stucco on the rest. There will be more dormers on the sixth floor roof on the side. The Parkside neighborhood may soon experience much redevelopment. The renovation of historic buildings on Parkside Avenue and neighboring Viola Street is one important step forward. 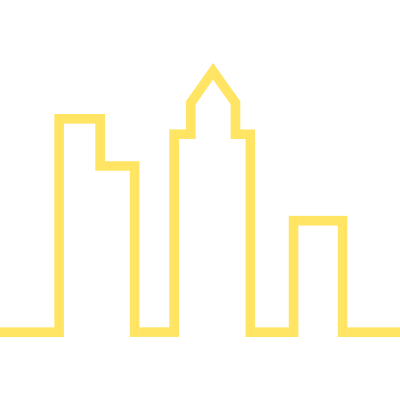 Other improvements include Centennial Commons, the High School of the Future at 41st and Parkside, the large shopping center at 52nd and Parkside, and the reopening of important bridges at 40th and 41st Streets, which span the SEPTA tracks. The new building at 4148 Parkside is a major step in this continued redevelopment, which might soon attract significant private development.